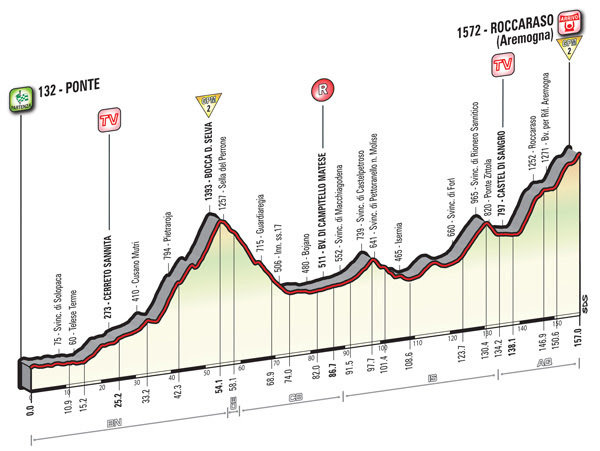 Stage 6 of the Giro d’Italia, Ponte to Roccaraso (Aremogna) (157km). 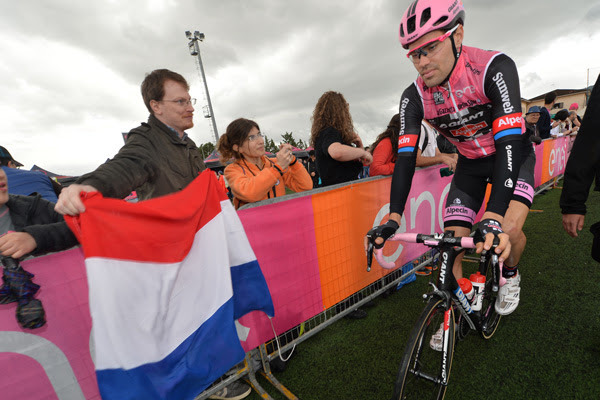 The stage has the first uphill finish of this year’s Corsa Rosa. The group, 193 riders strong, passed km 0 at 12.48. Ponte: Rain, 18°C. Wind: moderate – 22 kmh. The first summit finish comes after a short yet full mountain stage. After the first 20km on flat roads, the route starts to climb along easy to mild gradients for almost 40km, including a deceptive false-flat drag before the ascent. The route then descends along roads that are wide, yet worn out at points. From km 75 to km 135, the stage course runs along wide, fast and mostly straight roads, with a number of tunnels in the final stretch. 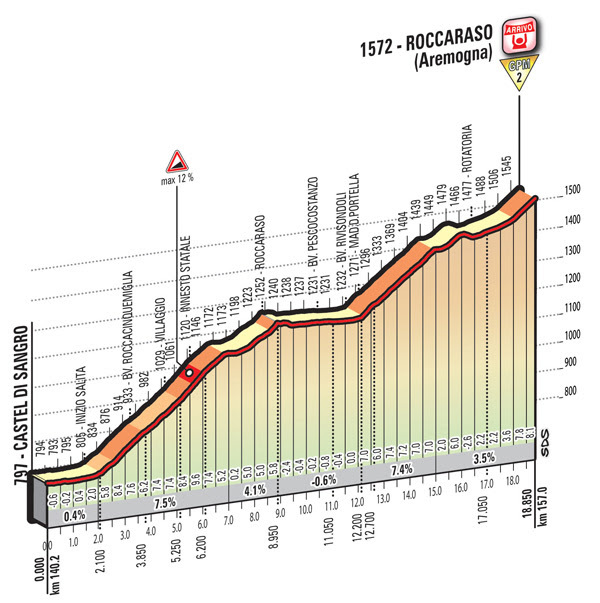 After the Castel di Sangro intermediate sprint, the route takes in the final climb leading to the finish. The final climb is 17km long, with an average 4.8% gradient. The first part is quite steep, with a short 12% stretch, followed by a deceptively false-flat drag (across the centre of Roccaraso). Seven kilometres before the finish, the route starts to climb again with variable slopes ranging from 4% to 7%. The final kilometre has a 7% gradient. The home stretch, running entirely uphill, is 120m long, on a 6m wide asphalt road.